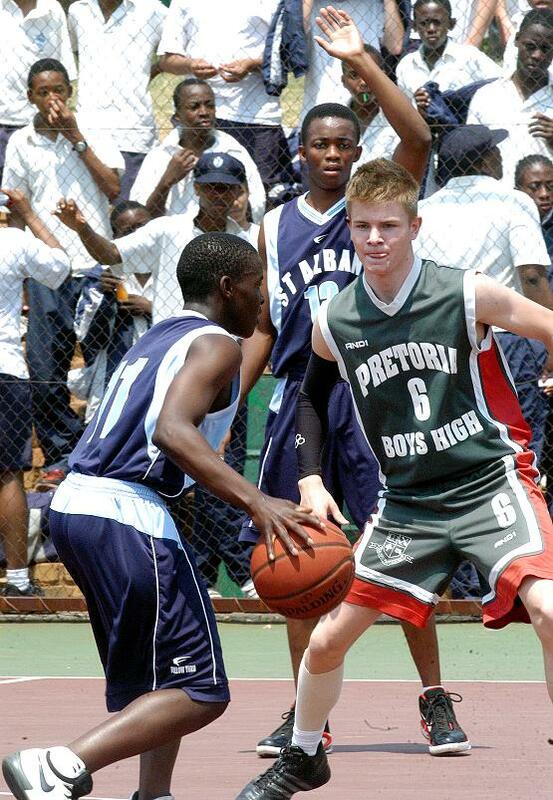 Pretoria Boys’ High School first team opened their new season when they hosted cross town rivals St Albans on a scorching Saturday afternoon in the Johannesburg Schools league. A game high 19 points by Boys’ High’s Siphumle Qanya helped the hosts run out 48-29 victors over their opponents, who have now lost two matches in a row after losing their opening match against St Benedicts. The first quarter got off to an uninspiring start as both teams struggled to break one another’s defences and it was not surprising that the scores were level at 4-4 come the end of the quarter. 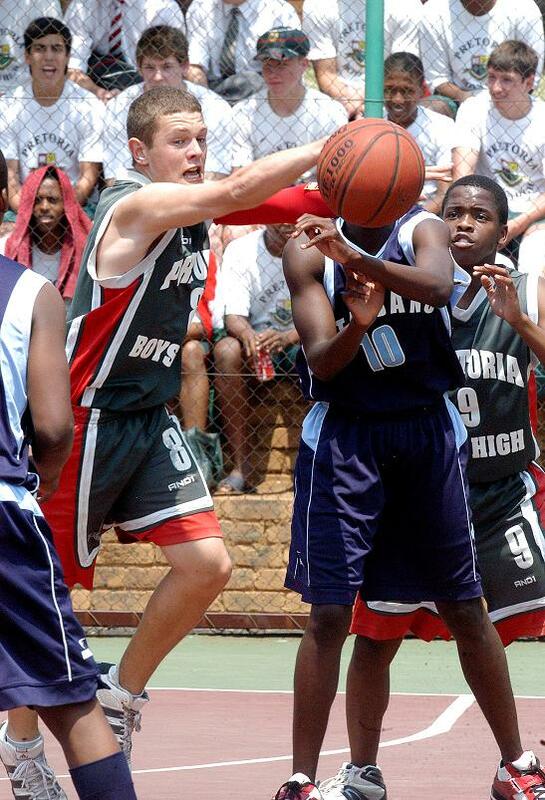 In the second stanza the hosts seized the initiative by applying a high pressure defence on St Albans’, which worked like a charm as it opened the game up more and yielded 12 baskets for Boys’ High when they attacked. 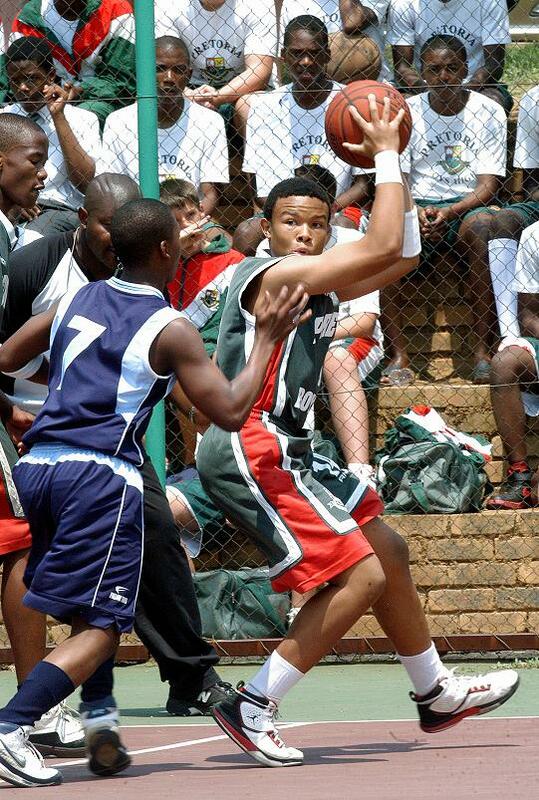 Qanya and Simphiwe Skhosana lead the Boys’ High scoring break out in the second quarter, with the latter, scoring four points to add to the single basket he scored in the first quarter and the former contributed two points from the free throw line and a three pointer which came in the dying seconds of the quarter. St Albans on the other hand managed another four points as they proved to be blunted in attack. St Albans’ were left chasing the game with scores at 16-8 in favour of Boys’ High at the end of the second quarter. In the third period St Albans’ enjoyed their best spell in the game, with Boys’ High seeming to have taken their foot of the pedal. The hosts managed nine points and were still in the lead (25-22) at the end of the quarter, St Albans managed to outscore Boys’ High by five points more. 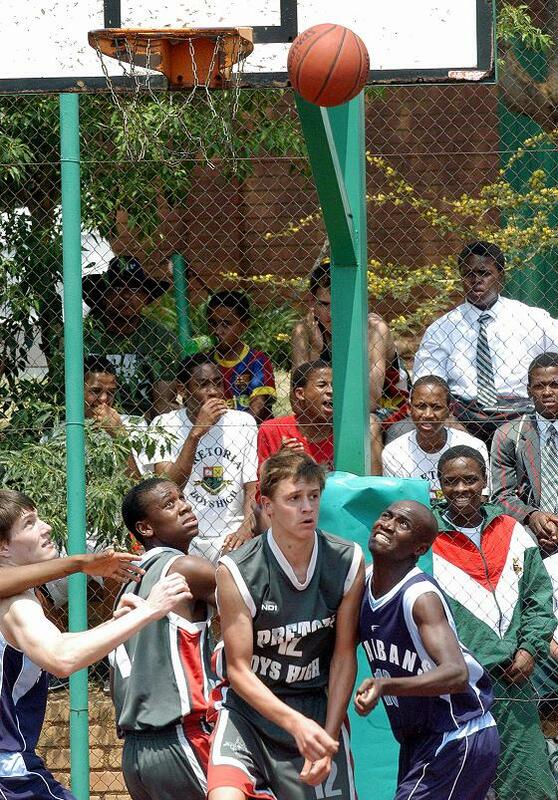 The visitors captain Theo Ledwaba contributed four points to his total of five, guard Mlungisi Mahlatini scored a single point from the free throw line and also hit a three pointer and Ismail Agbessi, who finished as the visitor’s top scorer with eight points, scored four and Omolemo Mathole landed a single basket to what would look like a St Albans’ fight back, but only proved to be a smoke screen. On seeing that the St Albans’ were within touching distance of their lead Boys’ High returned to the fourth and final quarter a rejuvenated team and stepped up their efforts with Qanya being the protagonist as he broke into a scoring frenzy ending the quarter with 12 points and the host’s captain and point guard Pearson Pretorious , who started the game poorly adding four points to his total of six points and Kutlwano Mafuluko scored a three pointer to finish the game with eight points to help the hosts to their victory charge. St Albans clearly had no answer to the homeside’s inspired fourth quarter scoring run and seemed to have lost the stomach for the battle as the managed a paltry seven points in their second defeat in a row.